Immersive virtual reality is providing an exciting new way of seeing our world. The challenge, though, is how to use such environments to contribute to the solution of large scale problems, and make this world a better place. Here at QUT, in the ARC Excellence Centre for Mathematical and Statistical Frontiers, we combine visual and statistical capabilities to make that change. Our scientists went to the Amazon in Peru, to capture data using stereo camera, and various 360-degree cameras. Using these recordings, we can then bring the jungle to the experts, and elicit information to gain insight into the problem of interest. Gear used in the field trip. Stereo camera: Dual Hero System with 2x GoPro Hero 3+ installed. 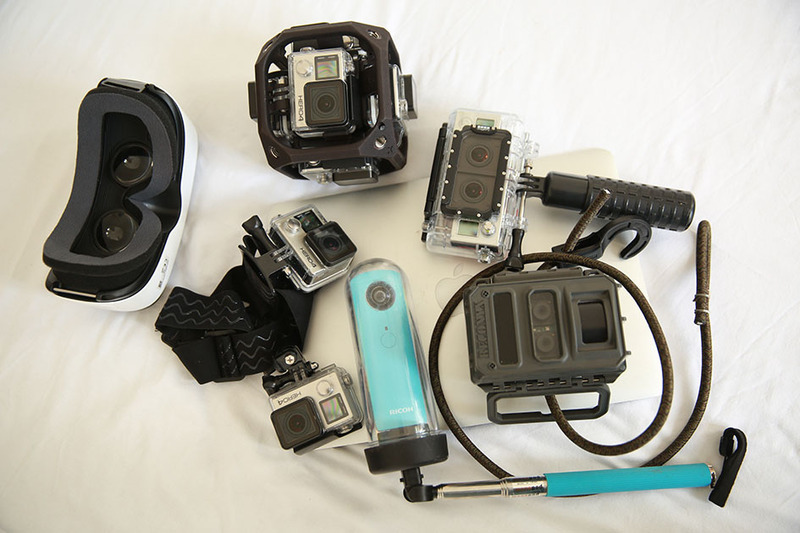 360-degree cameras: Freedom 360 Explorer+ with 6x GoPro Hero 4 installed, 2x Ricoh Theta M, and 2x Kodak SP360. IR camera: Reconyx XR6 Ultrafire (infra-red, motion sensing trap camera). Sound: Zoom H2n Handy Recorder, Olympus VN-733PC. Virtual Reality: Samsung GearVR, Samsung Galaxy S6, Google Cardboard Glasses. USB Hub: ORICO 10 Port-Hub. GPS: Garmin 64ST GPS System.